Making an online gallery visible on your Portfolio and adjusting the Category for that gallery online. By default, all online galleries are set to NOT be visible on your Portfolio. 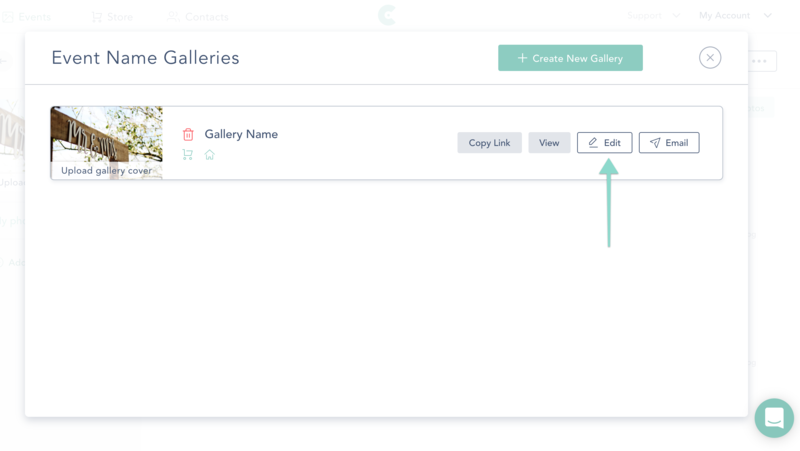 To change that status to visible, go to your Gallery settings by clicking on the Collection, then Galleries in the top right. 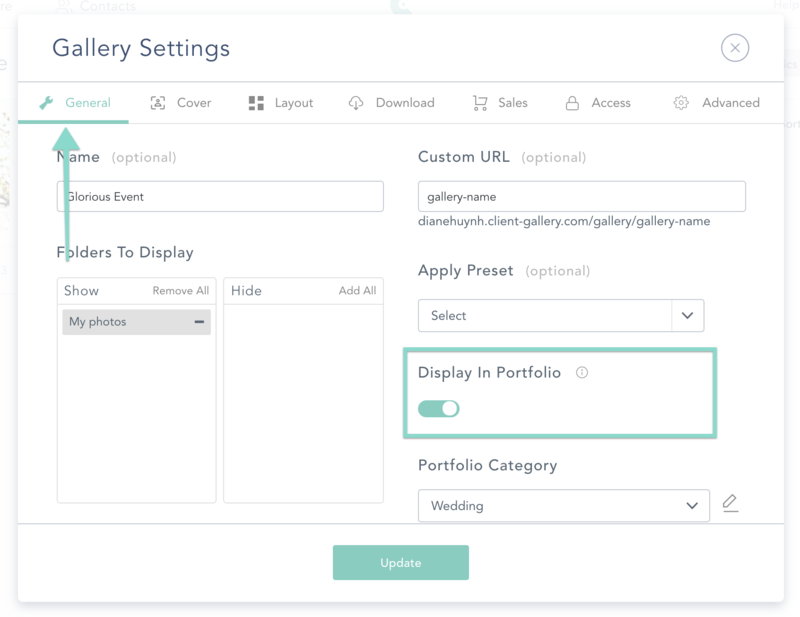 Click on the dots next to the Gallery you’d like to add to your Portfolio, and then click on "Edit". How Do I Change My Custom Subdomain?